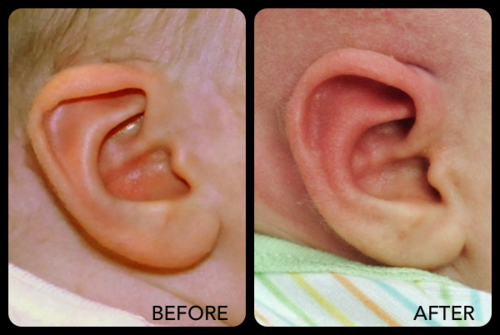 As a parent you might be surprised to know that many infants do not have normal looking ears at birth. Abnormal looking ears are quite common and can create unique distress to parents and families of newborns. Compared to individuals with normal appearing ears, people with ear abnormalities may experience significantly more stress, anxiety, social avoidance, self esteem issues, bullying, etc. The abnormal looking ears can be divided into 2 groups - malformations and deformities. Ear malformation is when the child is missing portions of the ear. The malformations are not very common. It is estimated that they occur 11.5 per 10,000 birth and usually the correction requires surgery. They do not correct by themselves. Ear deformations are much more common. Some studies report that as many as 15 or 25 percent of all kids are born with some ear abnormalities. Deformations or deformities occur when all parts of normal ear are present at birth but they are not in normal position. Many physician believe that the main cause of deformed ear is abnormal force or pressure on the ear while still in utero, during delivery or during first days after birth. Most traditional pediatricians believe that about 30% of these deformities will eventually self correct, however, there is no way to predict which ones will correct and which ones will not. Also it is impossible to predict the degree of correction as well as final symmetry to the other side. By the time correction of 30% of ears occur, the non-surgical molding is not available any longer and surgery is the only option. Because all the parts of normal ear are actually there, the infant ear can be corrected without surgery with the process known as molding. However, infant ear can ONLY be molded only within first weeks of life. After that molding will not be successful and the child most likely will require surgery later on in life to correct the deformity. The main principle of infant ear molding is to create a gentle guiding force to soft cartilage of the ear while it is still malleable (can be bent without cracking and maintain the shape for the rest of child's life). The reason the infant's cartilage is moldable is because of maternal estrogen remaining in baby's bloodstream. The levels of maternal estrogen slowly decrease over first 3 month after birth. Molding process has to be completed by 3 month mark. After 3 month molding is not effective. The higher the level of maternal estrogen is, the easier and faster molding process occurs and the better results are can be achieved. As the matter of fact, the hormone level usually peaks about 72 hours after birth and then progressively decreases. If molding is initiated within the first 7 days of life, it usually takes about 2-3 weeks and can produce very dramatic improvement. After 21 days molding required multiple adjustment sessions, takes about 6-8 weeks and will not produce the same degree of improvement. Dr Volshteyn prefers to start molding process during the first 3 days of life (preferably the first day ) and definitely no later than 7-10 days after birth for best possible results. There are reports of reasonable outcomes if treatment was initiated at 2 month but it takes up to 3 month. Success rate of ear molding is about 90 percent. Even if deformity is not corrected completely, the residual deformity is sugnificantly less noticeable. If the child still requires corrective surgery later in life (usually 6-7 years of age right before school) the surgery is much less complicated and less expensive. There are several techniques exist for ear molding from double sided tapes to sophisticated mold systems. Some of them are home based and others require professional expertise. Tapes. Several companies manufacture double sided tape products, such as OtoStick for example. Using different modifications of double sided tape, the protruding or prominent ear is taped to the skin behind the ear reducing outward position. It is simple, inexpensive (costs about $35.00) but it is very limited in what it can correct, unpredictable, very difficult to achieve truly natural appearance and commonly produces telephone ear deformity instead. I understand if our grandparents and parents might have used something like that in the beginning or the middle of last century but today the results are not acceptable. Paperclip or coat hanger method. Yes, this is what I used to do about 20 years ago. We would take a 1 inch long piece of rubber / plastic coated paperclip or coat hanger, bend it to match the normal looking ear, or what we thought the ear should look like and tape it in place. It was cheap, easy, but it did not create reliably predictable result or good symmetry as tape pieces would come off and our homemade splint would periodically fall out. Still, 20 years ago, it was a solution without alternative. Now we can do better. 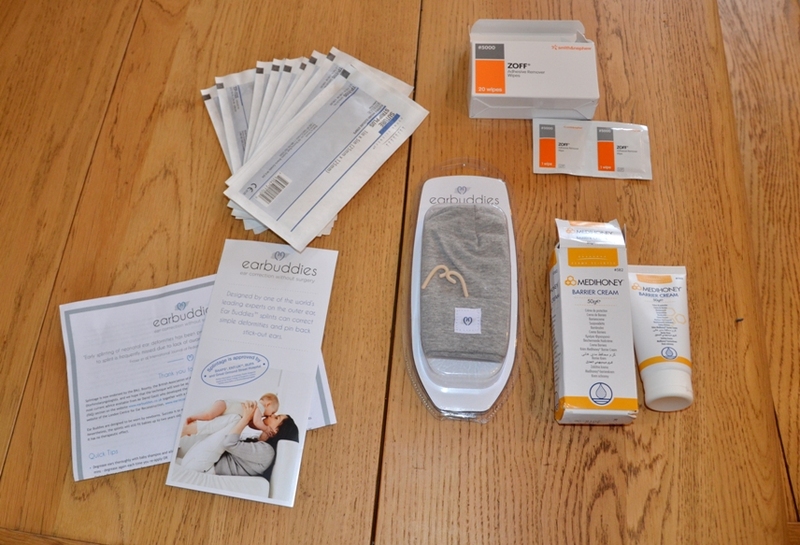 There is, though, a home based system developed by British Plastic Surgeon Dr David Gault, known as EarBuddies, which is very similar to what we used to do 20 years ago and it is quite useful in many cases. You are provided with a splint, which is taped to the ear to recreate a fold. Cost for basic kit is about $80.00 and premium kit is about $150.00. Infant Ear Molding Systems. Modern ear molding systems are quite a bit more sophisticated and address multiple deformities at the same time. We can correct the shape of the outer cartilage, crura, concha and prominent ear deformity at the same time. I can compare modern molding systems to injection molding of plastics or a very gentle press. Because the mold is the same, or mirror image for right and left, the degree of symmetry achievable with this method is excellent. There are several such systems we currently use. One of them is Infant Ear Correction System. It was developed by Texas plastic surgeon Dr. Steve Byrd. You can click on the picture of Dr. Byrd to view his video explaining how EarWell Infant Ear Correction System works or you can click on Earwell image below to view live application. The other system we use is Non-Surgical Ear Molding System developed by Pennsylvania Plastic Surgeon and former Chief of Plastic Surgery at The Children's Hospital of Philadelphia (CHOP) Dr. Scott Bartlett. 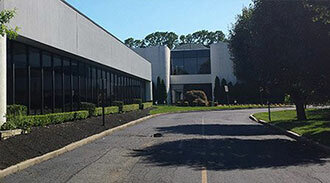 We also use other custom molding systems depending on patient needs. We select the specific device or system for infant ear deformity correction based each individual patient and we do not exclusively use a single system. Insurance coverage. Most insurance plans do cover ear molding procedure as medically necessary. It is considered a congenital deformity and not cosmetic. Cost of procedure varies based on equipment used, one or both ears corrected, use of operating room and use of a specific ear molding system, etc. We are able to accept private insurance plans with referrals from primary care physicians or pediatricians. You may also use your FLEX or HSA accounts as procedure is considered medically necessary and not cosmetic. We also accept credit cards and offer third party financing options. At this time we are unable to accept Medicaid and Medicaid HMO plans. Why Plastic Surgeons are doing it? Several companies market the ear molding systems to pediatricians, primary care doctors and dentists. Remember, none of them understand true complexities of ear anatomy and none of them can consider importance of priorities in mixed ear deformities. As plastic surgeons when we apply these devices, we also consider what we can do in case of failure and what is easier to correct surgically in the future if needed. We also understand the most vulnerable areas of the ear to overcorrection. That is why I would prefer to have a plastic surgeon apply it to my child rather than an overnight expert with weekend education course. What are possible side effects or complications? Infection. Infections are rare. Most commonly infection is not from bacteria but from yeast. It usually occurs after "spit-ups" or spilling of untreated milk. If it occurs, the child should return to the office for examination, cleaning and treatment, which usually includes repositioning of retractors also. Skin irritations. Skin irritation can occur because of friction from retractors. The treatment involves returning to the office, removing of retractors for a couple of days to let abrasions heal. Then the molding system is reapplied. We recommend using Bacitracin and NOT Neomycin as the latter one can promote development of allergic reaction in a newborn. Skin redness or rash. Skin redness is a result of combination of use of adhesive, alcohol swabs, and acetone/alcohol pads. Skin redness is common but is usually subsides after the device is removed. In case of very severe allergic reaction, we usually recommend removal of the device, use of over the counter cortisone cream three times a day for 2-3 days and secure ears with headband till resolution of the symptoms. What is the best time to apply infant ear molding system? 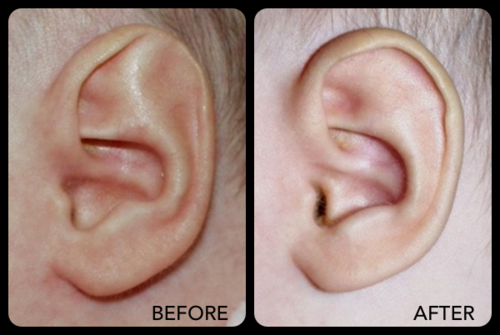 The best time to apply custom ear molding system is before 3 weeks of age. In this case, the treatment usually takes 4-6 weeks or more. However, if it is applied earlier, the course of treatment may shorten down to 2 weeks. Out recommendation is to start treatment during the first week of life. Ideally, within first 48-72 hours of life. What if the treatment is not started till 4-10th week of life? If the treatment is not initiated till 4-10 week of life, the degree of possible improvement decreases significantly. The parents should be aware that the correction is still possible but most likely it will be incomplete. Also, at that time the child will become more active and the chances of him/her removing the device increase significantly. That is why we recommend securing the arms or arm splinting for older infants. Traditional recommendation is to start treatment after child reached 4-4.5 lb. However, dealing with premature babies is quite a bit more complex and requires significant degree of experience. The duration of ear molding therapy depends on how early after birth the treatment is initiated, how complex the deformity is and how compliant the child and the parents are with hygiene guidelines. If the deformity is mild to moderate, and the treatment is initiated within first 48 hours, the treatment usually takes 2-3 weeks. If it is initiated after 21 days or 3 weeks of life, the duration increases to up to 10 weeks. EarWell, for example, recommends full 6 weeks course routinely. How do you know after 6 weeks that the ear will not "spring back" to original deformity? We do not. We check manually the rigidity of the ear to determine if the ear is rigid enough to maintain its own shape. We also compare the ear rigidity in both biologic parents, if possible, as ear rigidity varies significantly from person to person. If the ear is not rigid enough, the ear molding system is reapplied. Does infant ear molding system affect hearing? No, it is applied behind the ear canal. Will it interfere with sleep? The ear molding system is painless and does not interfere with child's sleep and does not require any special devices or pillows. How does infant ear molding system affect nursing? Ear molding system does not affect nursing. However milk spillage can result in skin irritation and even require temporary device removal in case of yeast infection. Soft cloth shall be placed to prevent milk or milk products or formula from spilling onto the device. Do you have to shave hair around the ear? Yes. The system relies on proper attachment to the skin with gentle hypoallergenic adhesive specifically developed for this purpose by 3M corporation. Hair underneath the system allow motion of the molding system and cause irritation and friction injury. Is application of infant ear molding system very painful? No, it is painless. But the child may cry to demonstrate dissatisfaction with the process. How does the infant ear molding system actually work? In contrast to surgery, when the stiff cartilage has to be cut and repositioned with sutures, ear molding does not require use of knives, sutures, or anesthesia. The cartilage is not cut but is gently molded in new shape. It is traditionally thought that while mother's estrogen hormone is circulating in the baby's bloodstream, the ear cartilage is malleable. The peak concentration of maternal estrogen usually occur about 72 hour after birth and decrease significantly by 3 weeks of life and almost disappear by 3 month of life. The levels of estrogen usually guide the success or failure of the ear molding as well as duration of treatment. Can I bathe my baby with Infant Ear Molding System? It is important not to get the device wet to prevent it from coming off, loosening or underneath skin irritation. We suggest washing around it carefully. Ear deformities are considered congenital conditions and are usually are covered by most insurance plans. We recommend you checking with your specific insurance carrier. Currently we participate with Medicare. We do not participate as in-network providers with most insurance carriers. However, we do work with most private insurance companies, including traditional commercial ones and self insured plans based on referrals from pediatricians or other primary care providers. Because Infant Ear Molding treatment has to be initiated within 1 week of life, it usually requires parental assistance to obtain timely pre-authorizations for the procedure. We are able offer direct contracting to unions and other self insured third party payers. At this time we do not accept Medicaid or Medicaid HMO plans. If I have Medicaid, what can I do? If you are Medicaid or Medicaid HMO recipient and you are unable to locate a provider in your insurance network who is able and available to provide these services in a timely fashion, you need to obtain out-of-network referral from your primary care physician and contact your Medicaid Carrier to receive approval to be seen by Dr. Boris Volshteyn. Each Medicaid plan has its own rules and protocols and the process is very time consuming. Unfortunately, our office will not be able to assist you with this process. Alternatively, you may also choose to pay cash for the services. We also accept most credit cards and offer third party financing options. Please contact our office for pricing details. Does breastfeeding affect duration of ear molding? Maybe. Some surgeons believe that breastfeeding prolongs flexibility of ear cartilage. Therefore, duration of treatment in breastfed babies is usually prolonged. However, there is no universal agreement on this topic exist at this time. On a positive note, breastfeeding, if it indeed produces such an effect, may potentially allow cartilage remolding beyond 3 month benchmark. Are there any Medical Articles abouth Infant Ear Molding Treatment? Plast Reconstr Surg. 2017 Mar;139(3):681-691. Classification of Newborn Ear Malformations and their Treatment with the EarWell Infant Ear Correction System. Daniali LN1, Rezzadeh K, Shell C, Trovato M, Ha R, Byrd HS. Dallas, Texas From Pediatric Plastic Surgery Institute. A single practice's treatment protocol and outcomes following molding therapy on newborn ear deformations and malformations with the EarWell Infant Ear Correction System were reviewed. A classification system for grading the severity of constricted ear malformations was created on the basis of anatomical findings. A retrospective chart/photograph review of a consecutive series of infants treated with the EarWell System from 2011 to 2014 was undertaken. The infants were placed in either deformation or malformation groups. Three classes of malformation were identified. Data regarding treatment induction, duration of treatment, and quality of outcome were collected for all study patients. One hundred seventy-five infant ear malformations and 303 infant ear deformities were treated with the EarWell System. The average age at initiation of treatment was 12 days; the mean duration of treatment was 37 days. An average of six office visits was required. Treated malformations included constricted ears [172 ears (98 percent)] and cryptotia [three ears (2 percent)]. Cup ear (34 ears) was considered a constricted malformation, in contrast to the prominent ear deformity. Constricted ears were assigned to one of three classes, with each subsequent class indicating increasing severity: class I, 77 ears (45 percent); class II, 81 ears (47 percent); and class III, 14 ears (8 percent). Molding therapy with the EarWell System reduced the severity by an average of 1.2 points (p < 0.01). Complications included minor superficial excoriations and abrasions. The EarWell System was shown to be effective in eliminating or reducing the need for surgery in all but the most severe malformations. Int J Pediatr Otorhinolaryngol. 2018 Jul;110:22-26. doi: 10.1016/j.ijporl.2018.04.017. Epub 2018 Apr 23. Detection of abnormally shaped ears by a trained non-specialist allows for early non-surgical intervention. Lu DYD1, Pauwels J2, Jin L1, Kozak FK1, Chadha NK3. Faculty of Medicine, University of British Columbia, Canada; Division of Pediatric Otolaryngology-Head & Neck Surgery, B.C. Children's Hospital, Vancouver, Canada. Division of Pediatric Otolaryngology-Head & Neck Surgery, B.C. Children's Hospital, Vancouver, Canada. Faculty of Medicine, University of British Columbia, Canada; Division of Pediatric Otolaryngology-Head & Neck Surgery, B.C. Children's Hospital, Vancouver, Canada. Electronic address: nchadha@cw.bc.ca. Many children are born with abnormally-shaped ears, including protruding ears or unusually-shaped outer ears. While the majority are benign, these may cause significant issues with self-esteem and bullying in childhood. Early molding can resolve some of these abnormalities, avoiding the need for future corrective surgery. However, newborns with these abnormalities are rarely identified early, within the first few days of life, when molding is most effective. In this study, we investigate whether a trained non-specialist can correctly identify ear shape abnormalities in newborns. A non-specialist (medical student) was trained on normal and abnormal ear anatomy using photographs and descriptions. Newborns <72 h of age were recruited from maternity wards. Newborns' ears were photographed and these images were assessed independently by two specialists and the non-specialist. External ear shape was classified as either normal or abnormal based on pre-determined criteria. A total of 661 ears of 334 newborns were photographed and assessed. High inter-rater agreement was achieved with a kappa statistic of 0.863 (SE 0.078). The non-specialist detected abnormally-shaped ears with a sensitivity and specificity of 90.9% and 91.1% respectively. Our study illustrates that non-specialist can be trained to accurately detect newborn ear abnormalities, providing a cost-effective means of ensuring that these children's health care needs are met in a timely fashion. Specifically, we recommend the integration of ear shape assessment into currently established programs such as the newborn hearing screening program. Clin Pediatr (Phila). 2017 Feb;56(2):132-139. doi: 10.1177/0009922816641368. Epub 2016 Jul 19. A Simplified Nonsurgical Method for the Correction of Neonatal Deformational Auricular Anomalies. 2 Children's Hospital of Philadelphia, Philadelphia, PA, USA. Despite reported success of early nonsurgical splinting of congenital ear deformities, the technique has not been widely utilized due to difficulty with application and positional maintenance of these devices. Delay in treatment can result in unnecessary surgery for the child later in life. In response to this need, we developed a simplified system consisting of Velcro, conformers, and polysiloxane gel that can be applied in 3 steps. Before and after photos after application of the device were graded by a plastic surgeon independent of the study. A total of 33 ear deformities were treated. In all, 92.3% of ears achieved significant improvement and normalization of their ears after therapy. This device allows for a more straightforward and individualized application than current products available. Our hope is that practitioners involved early in the infant's care will utilize this technology resulting in improved outcomes and avoiding unnecessary surgery. Pediatrics. 2016 Mar;137(3):e20152831. doi: 10.1542/peds.2015-2831. Epub 2016 Feb 18. Neonatal Ear Molding: Timing and Technique. Anstadt EE1, Johns DN2, Kwok AC2, Siddiqi F2, Gociman B3. University of Utah School of Medicine, Salt Lake City, Utah; and. Division of Plastic and Reconstructive Surgery, University of Utah, Salt Lake City, Utah. 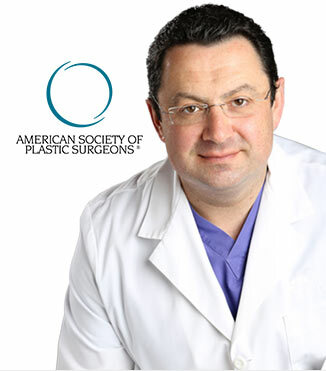 Division of Plastic and Reconstructive Surgery, University of Utah, Salt Lake City, Utah barbu.gociman@hsc.utah.edu. The incidence of auricular deformities is believed to be ∼11.5 per 10,000 births, excluding children with microtia. Although not life-threatening, auricular deformities can cause undue distress for patients and their families. Although surgical procedures have traditionally been used to reconstruct congenital auricular deformities, ear molding has been gaining acceptance as an efficacious, noninvasive alternative for the treatment of newborns with ear deformations. We present the successful correction of bilateral Stahl's ear deformity in a newborn through a straightforward, nonsurgical method implemented on the first day of life. The aim of this report is to make pediatric practitioners aware of an effective and simple molding technique appropriate for correction of congenital auricular anomalies. In addition, it stresses the importance of very early initiation of ear cartilage molding for achieving the desired outcome. Eur Rev Med Pharmacol Sci. 2012 Oct;16(11):1554-8. Neonatal molding in deformational auricolar anomalies. Leonardi A1, Bianca C, Basile E, Ungari C, Arangio P, Filiaci F, Papoff P, Vellone V, Moretti C, Cascone P.
Congenital auricular anomalies can be categorized either as malformational or deformational. The first are characterized by a partial absence of the skin or cartilage resulting in a constricted or underdeveloped pinna and require surgical correction. Deformations are characterized by a misshaped but fully developed pinna and are best treated by auricular molding. Authors want to present their case load in treatment of infants affected by deformational auricolar anomalies and describe their techniques using early splinting for congenital auricular deformities, like prominent ear, lop ear, constricted ear, Stahl's ear. Between 2009 to 2011, in Maxillo and Oral Surgery Unit, a nonsurgical technique was used to treat 22 ears affected by deformational anomalies in 12 patients soon after birth. Four patients were female. This kind of nonsurgical correction of the deformed auricle was performed on lop ears (n=6), constricted ears (n=8), prominent ears (n= 4), Stahl's ear (n=4). Children more than two months old were also excluded. The mean of treatment time was 5.5 weeks. according to the Authors and the parents 100% of treated auricles improved. Improving at the end of the molding treatment was observed in 18% of the auricles, but recurrence to one year of stopping treatment. There were not complications caused by this procedure. The nonsurgical molding has the advantage to correct at a very early age a cosmetic abnormality, giving a natural and in the most of the time a satisfactory results, with a prevalence rate of complications of much less than surgical corrections. Arch Pediatr. 2011 Mar;18(3):349-51. doi: 10.1016/j.arcped.2011.01.001. [Neonatal molding for minor deformities of auricular cartilage: a simple method]. Calonge WM1, Sinna R, Dobreanu C, Tosa Y, Hosaka Y.
Non-surgical correction of minor ear deformities by external splinting during neonatal age is a well-known, effective technique, but not frequently used in France. We would like to popularize an established, simple method that uses cheap, available means (a wire, adhesive strips and a silicone probe). It can be performed by parents, paediatricians and nurses. Spreading this method would allow early onset of treatment and better clinical results. On the long run, it would have a certain economic aftermath on national health insurance by reducing the number of surgical procedures for deformed ears. Plast Reconstr Surg. 2010 Oct;126(4):1191-200. doi: 10.1097/PRS.0b013e3181e617bb. Byrd HS1, Langevin CJ, Ghidoni LA. A review of a single physician's experience in managing over 831 infant ear deformities (488 patients) is presented. The authors' methods of molding have advanced from the use of various tapes, glues, and stents, to a comprehensive yet simple system that shapes the antihelix, the triangular fossa, the helical rim, and the overly prominent conchal-mastoid angle (EarWell Infant Ear Correction System). The types of deformities managed, and their relative occurrence, are as follows: (1) prominent/cup ear, 373 ears (45 percent); (2) lidding/lop ear, 224 ears (27 percent); (3) mixed ear deformities, 83 ears (10 percent) (all had associated conchal crus); (4) Stahl's ear, 66 ears (8 percent); (5) helical rim abnormalities, 58 ears (7 percent); (6) conchal crus, 25 ears (3 percent); and (7) cryptotia, two ears (0.2 percent). Bilateral deformities were present in 340 patients (70 percent), with unilateral deformities in 148 patients (30 percent). Fifty-eight infant ears (34 patients) were treated using the final version of the EarWell Infant Ear Correction System with a success rate exceeding 90 percent (good to excellent results). The system was found to be most successful when begun in the first week of the infant's life. When molding was initiated after 3 weeks from birth, only approximately half of the infants had a good response. Congenital ear deformities are common and only approximately 30 percent self-correct. These deformities can be corrected by initiating appropriate molding in the first week of life. Neonatal molding reduces the need for surgical correction with results that often exceed what can be achieved with the surgical alternative. [Nonsurgical correction of congenital auricular deformities a new method of neonatal molding and splinting]. Zambudio G1, Guirao MJ, Sánchez JM, Girón O, Ruiz JI, Gutiérrez MA. The utility of the nonsurgical correction of congenital auricular deformities by ear molding and splinting has been previously established. Occasionally, its application cannot be easy, and the later collaboration of the parents is necessary. We report a new method of splinting that simplifies the procedure. Twenty ears in 15 patients between 7 and 60 days of age (average 22 days) were treated. They were 12 prominent ears, 4 Stahl's ears, 2 lop ears, 1 Crinkled ear, and 1 case of increase of antihelix folder. Cotton impregnated with 2-Octyl-Cyanoacrylate is placed as splint for 6 weeks. The bilateral application lasted less than 5 minutes, end there were no spills to the external auditory canal. The splint was given off to the 2 weeks, and a second procedure was necessary in all the cases. There were no dermatitis or skin ulcers. The treatment was successful in 11 cases, partial improvement in 3, poor correction in 4, and recurrence in 2. The splint therapy is an easy nonsurgical method for the treatment of congenital auricular deformities that applied during the first weeks of life provides good aesthetic results in more than 50% of the patients. Plast Reconstr Surg. 2002 Mar;109(3):907-13; discussion 914-5. Early nonsurgical correction of congenital auricular deformities. Ullmann Y1, Blazer S, Ramon Y, Blumenfeld I, Peled IJ. Congenital auricular deformation is not an uncommon phenomenon, and it may cause substantial annoyance to the growing child. Many parents of affected children will seek surgical correction of the deformed auricles. The variety of techniques that have been described for the correction of this anomaly suggests that none has been considered satisfying. The consequent possible surgical complications should also be considered, when the surgical procedure can be replaced by an effective conservative treatment. The authors describe their experience using early splinting for congenital auricular deformities. Fifty-two newborn infants with lop, prominent, Stahl's, and constricted ears referred to us by the neonatal department staff were enrolled in this study. Putty Soft, a vinyl polysiloxane impression material, has been used for early molding of the auricles. Surgical tapes were used for the fixation of the mold and to fix the auricle to the scalp. The results were evaluated by one of the parents and by a layperson (medical student) 6 months after completion of the procedure. The above-described early splinting procedure was applied onto 92 auricles of 52 newborn infants aged 1 to 10 days, mostly around day 3. The mean treatment time was 6.8 weeks. All treated auricles were improved, 87 percent were rated as excellent improvement, and there were no complications related to the treatment. The authors conclude that early splinting of deformed auricles should be offered to parents of affected children, and the awareness of this procedure by neonatologists, pediatricians, and nursery staff should be increased. Ann Plast Surg. 1997 Mar;38(3):263-8. Molding therapy for infants with deformational auricular anomalies. Tan ST1, Abramson DL, MacDonald DM, Mulliken JB. 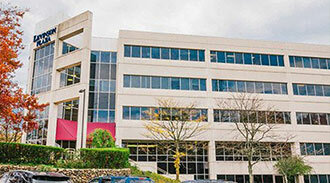 Division of Plastic Surgery, Children's Hospital, Harvard Medical School, Boston, MA 02115, USA. Congenital auricular anomalies can be categorized as either malformed or deformational. Auricular deformations most commonly affect the helix and antehelix. Surgical correction involves sutural modeling, wedge excision, reshaping and reversing cartilage segments, and morselization. Since neonatal auricular cartilage is extremely pliable, we used early splinting to correct deformational ear anomalies. Splints were constructed of leadfree, soft soldering wire threaded into polyethylene tubing and held in place with Steri-Strips. From August 1995 through February 1996 we treated 19 infants with 32 deformed auricles: 10 infants were male and 9 were female, ranging in age from 1 day to 10 weeks. Thirteen infants had both ears affected. There were 8 prominent ears, 23 lop ears, 2 Stahl's ears, and 1 infant with an inverted concha. For prominent ears, the helical-mastoid distance decreased from an average of 16.8 to 12.2 mm, after an average of 13 weeks of splinting. Fourteen corrected lop ears had a normal appearance, and 9 were improved with minor residual deformity. There was only one complication: skin irritation requiring adjustment of the prosthesis. Five children had molding started after 3 months of age and all had no significant improvement. In addition, the parents of 5 children refused therapy and 12 children had either poor compliance to therapy or were lost to follow-up. Our experience with auricular molding confirmed that it is easy, effective, and inexpensive. If molded sufficiently early, most auricular deformations should not need surgical correction in childhood.